You are at:Home»Macro View»Service Jobs: Structural Headwind? One of the key issues the world economy faces today is declining productivity. At this juncture, Turkey seems to be obliged to deal with a structural headwind stemming from its weakness labor market of which dynamics have changed radically. As this is the case in advanced economies, particularly in the U.S., services jobs now have a larger share in employment while manufacturing has had a percentage shrinking over the past decade (see June Jobs Report: Not Encouraging). 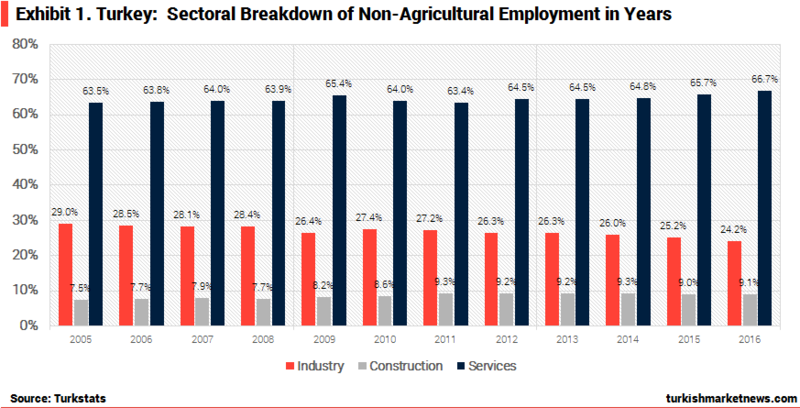 As of the end of September, industry (manufacturing) jobs accounted for only 24% of total employment which meant a 5 percentage points lost in eleven years, with services and construction continued to boost recruiting. Below is the chart for average shares of each industry on annual basis. 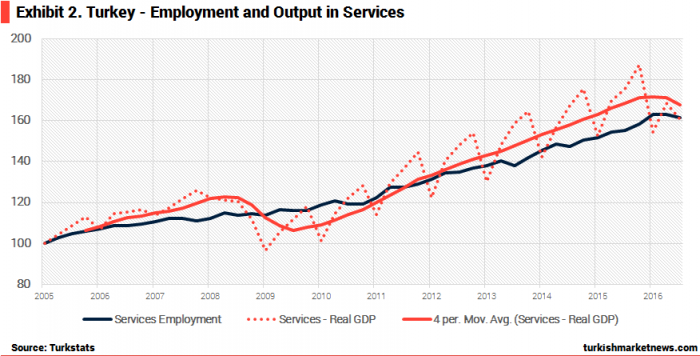 The following also visualizes the relationship between the employment and the economic output in services. It is simply not nice at all. Keeping the labor market at this dependence on services job is no recommendation for policy makers. 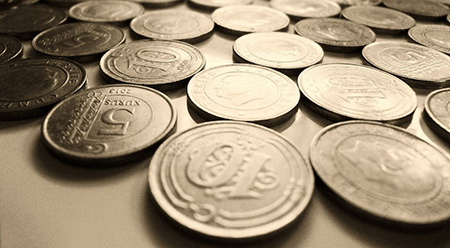 Why Core Inflation Will Stay High?